You can get with this or you get get with that. Oh how we love the Kia Hamsters. And we're not the only ones. Today, Nielsen bestowed Kia's This or That commercial with its highest honor, the Automotive Ad of the Year, the second time the brand has won the award. 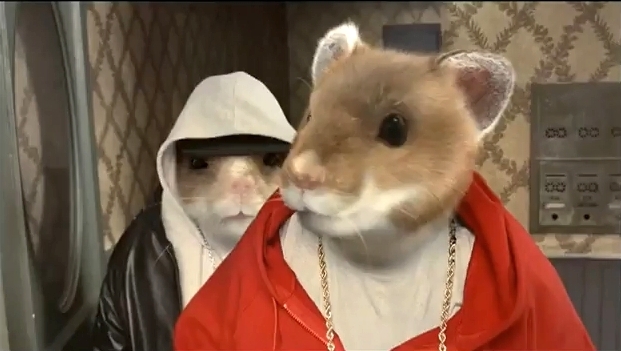 Check out the rapping hamsters here (or below) and their first outing, which also won the award, here. Apparently the concept has worked for the brand which reports a year-to-date sale increase of 50.8 percent for the Kia Soul. Created by David & Goliath, This or That shows the hamsters driving through city streets to the tune of "The Choice is Yours" by Black Sheep and comparing the Kia's "This" with the "That," less than hip appliances on wheels, cardboard boxes and other uncool moving objects. The spot debuted on cable at the end of May 2010 as an extension of the first Soul spot which featured hamsters traversing city and suburban streets in exercise wheels until, of course. the new Kia Soul pulls up to a stoplight and a trio of grooving hamsters give the exercise wheel hamsters "A New Way to Roll." A well deserved award if we do say so ourselves.